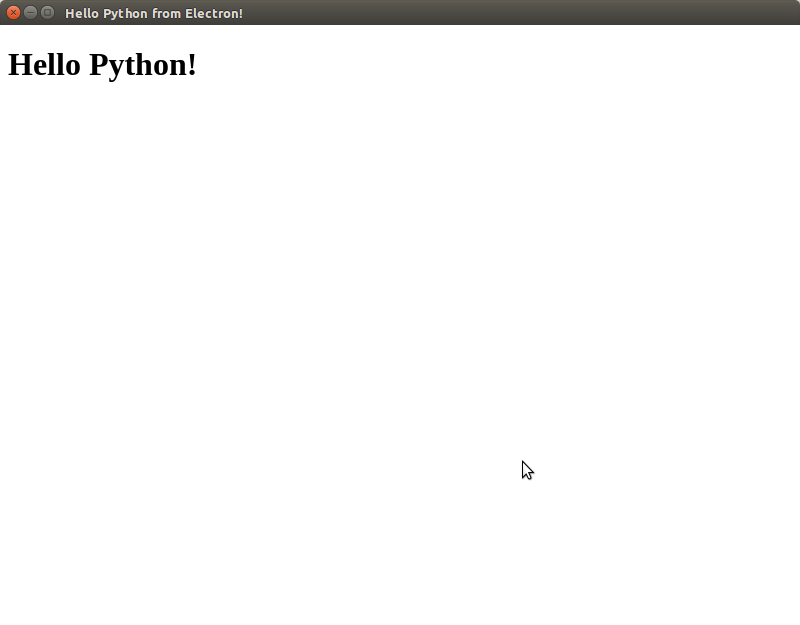 In the previous tutorial, we've seen how to use Electron and python-shell to create Python apps with Electron GUIs. This opens the door for using the modern frontend web technologies, the Node.js and npm modules (the biggest open source repository in the world) and the Python libraries combined to create powerful applications. If you already have an existing Flask application, you can easily target desktop apps without reinventing the wheel etc. We assume here that you are a Flask developer so an Electron introduction might be useful. Electron is based on Chromium, just like Chrome and Opera (and many browsers) so it's actually a web container. Electron also provides a Node.js runtime so you can use the Node.js APIs and ecosystem for building desktop apps (not just server apps and CLI tools). Using Electron, you can use take benefits of the Node.js APIs, the modern HTML5 APIs but also a rich and cross-platform API for accessing native operating system features and creating native windows and dialogs. For more information, read the Electron tutorial. 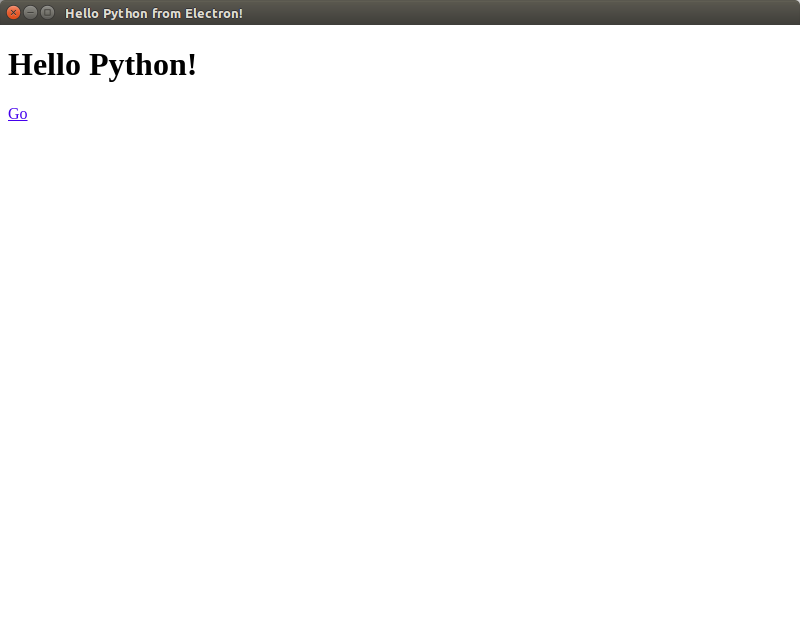 Now, that we've created our Electron GUI application, let's create a basic Python/Flask application and use it as an "engine" for our application. 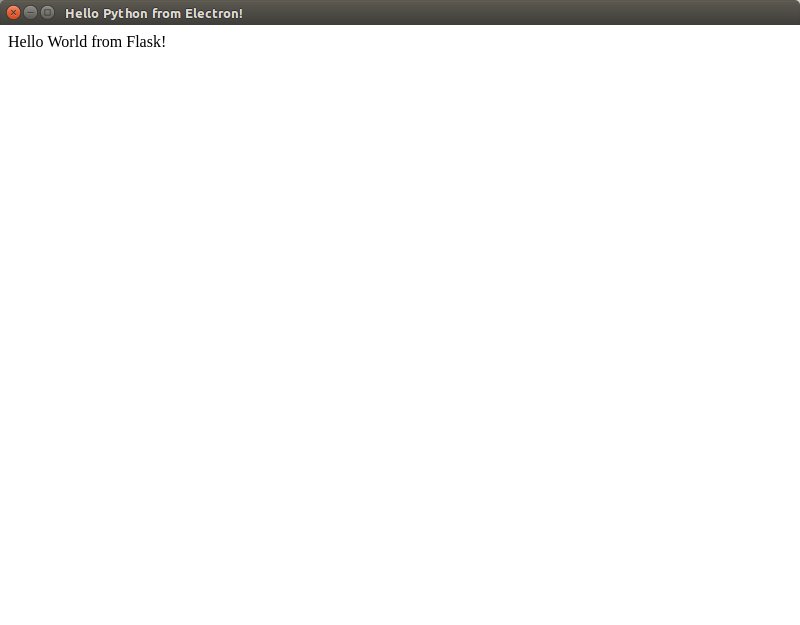 We'll also use the python-shell module to enable communication between the Python process and Electron process. We'll use Pipenv to create an isolated virtual environment for Python packages. Pipenv is the official package manager for Python. This will create a Pipfile file inside the project's folder and create a virtual environment inside your home folder. return "Hello World from Flask!" We use the python-shell module which is installed when you executed npm install in the cloned project. If you are creating a new project from scratch, make sure to install python-shell and any other dependencies. We've created a basic application with Flask and Electron. This can be further developed to create more complex desktop apps by implementing the logic in Python and Flask and use Electron with web technologies for creating the GUI interface.